There are three types of builds. One: builds that follow the criteria of a particular segment. Two: builds that break the rules of pt one – on purpose, often brave and controversial experiments that not everybody likes, and sometimes end up as a disaster. Three: builds that don’t care about any of the points above. The experiments that take inspiration from anywhere and anything. 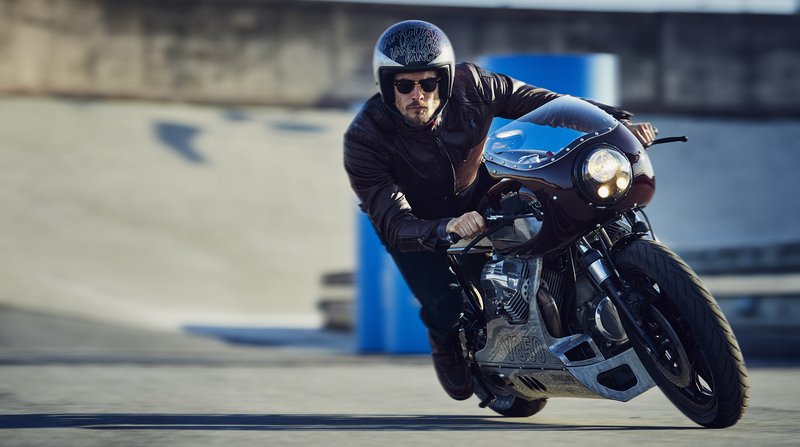 Made by visionaries that keep reinventing the design we know. 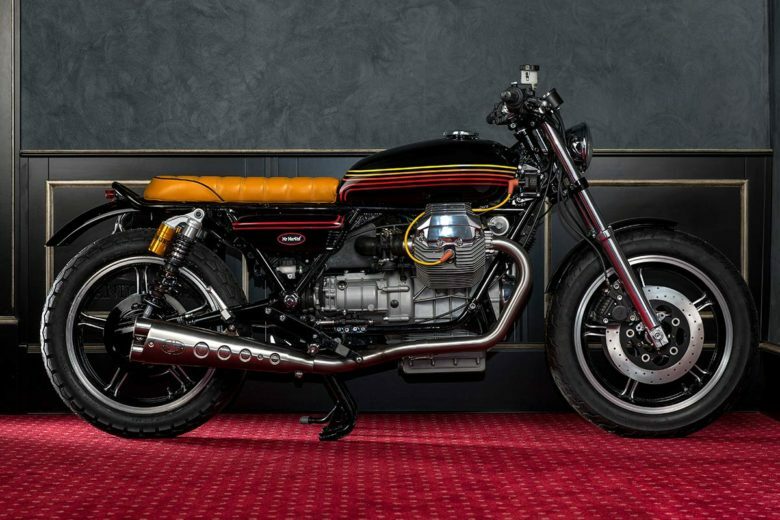 Guess which number is this Moto Guzzi? The title doesn’t say everything here. 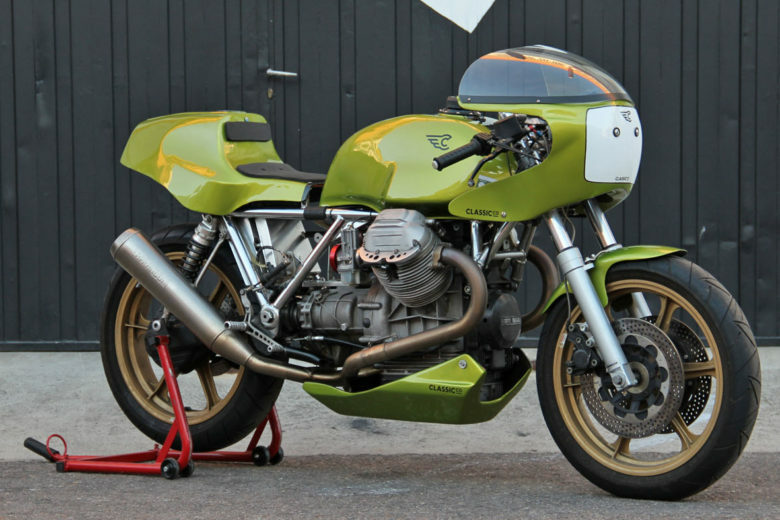 As the full description should be as follows: 1981 Moto Guzzi Le Mans Mk III V850 “Master of Endurance” by Gannet Design. 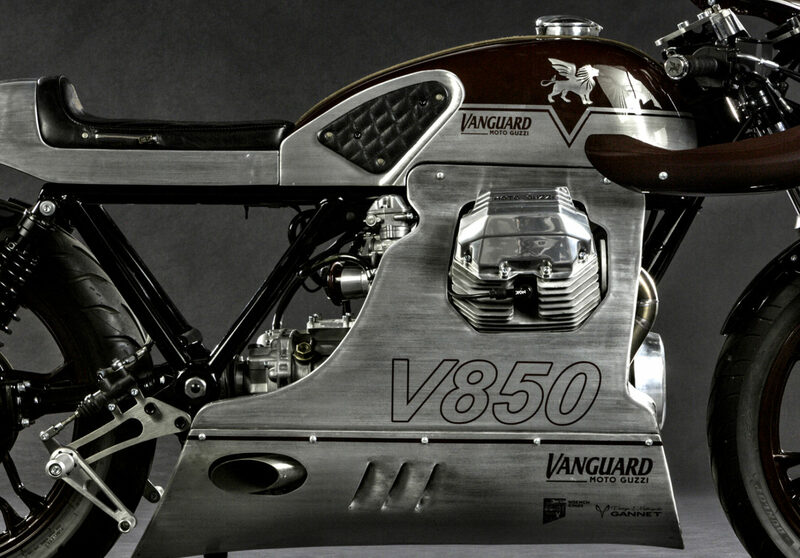 Made by Wrench Kings for Vanguard Clothing. The result is a jaw-dropping machine. 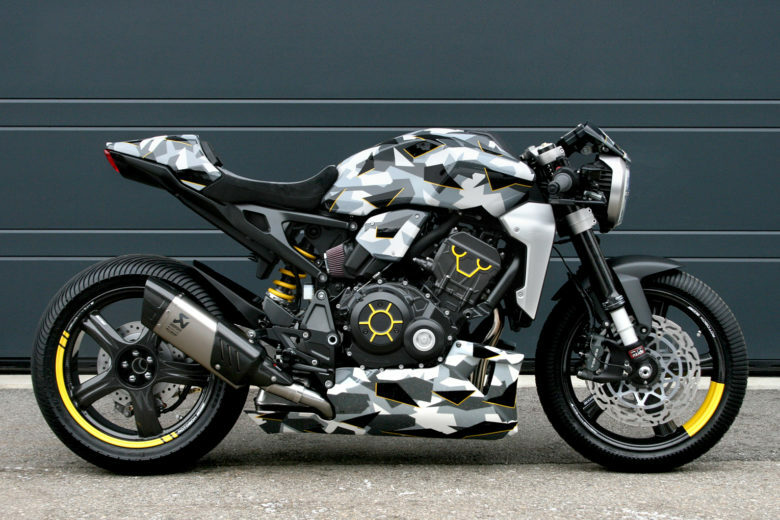 The design is a mix of an endurance racer (a cool tribute to Le Mans series heritage) and an aircraft design elements. 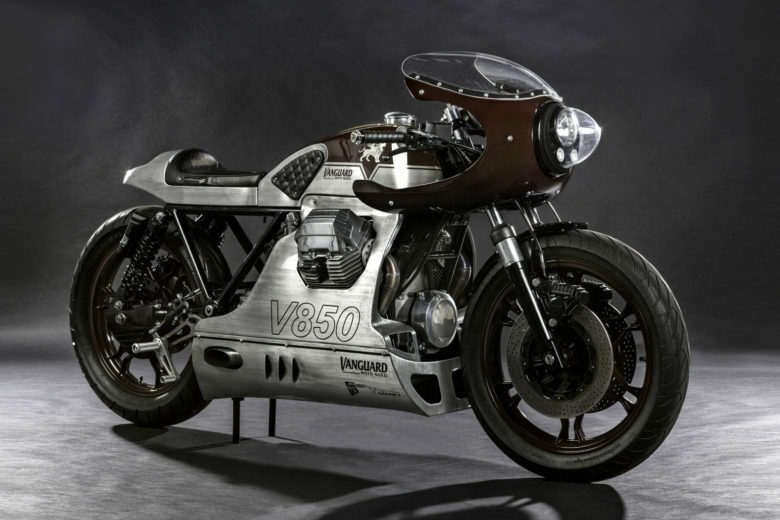 Vanguard Clothing pays tribute to the V850 with this build and by calling their collection the same name. And Wrench Kings do the hard work of delivering the product to the photoshoot as the designer imagined it. 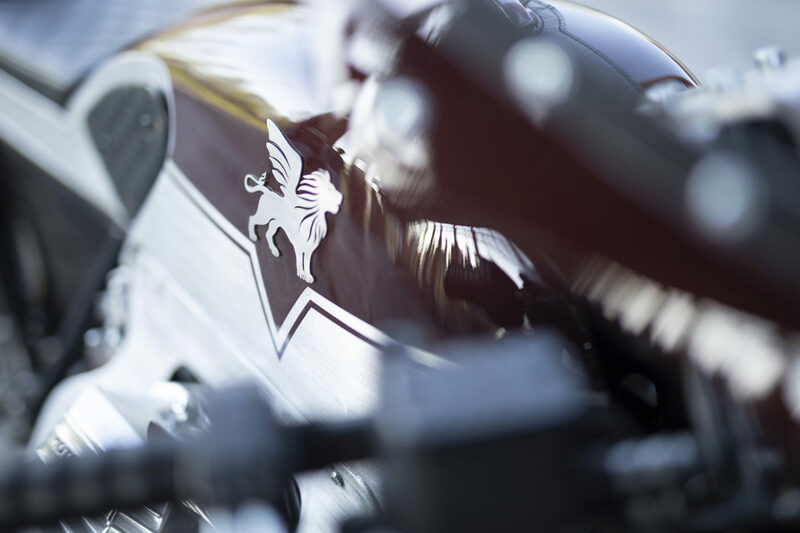 Pretty much all of the metalwork is completely bespoke and handmade with aluminium. The contrasting red glossy paint works perfectly with a brushed structure of the bare metal. 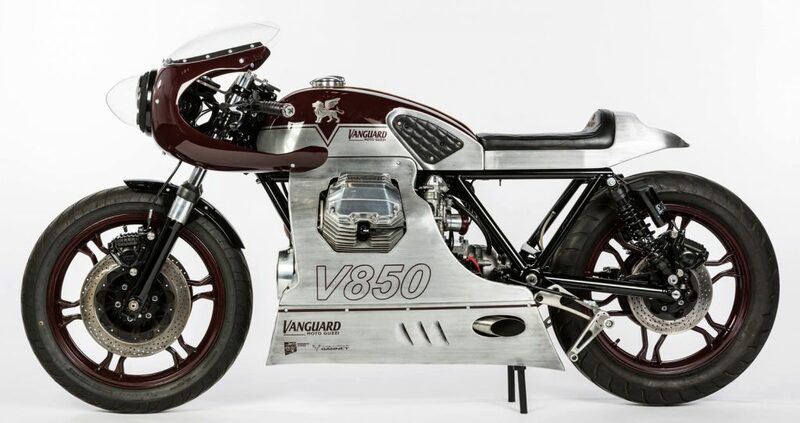 Reminding the golden ages of motorcycle racing… and aircraft design. 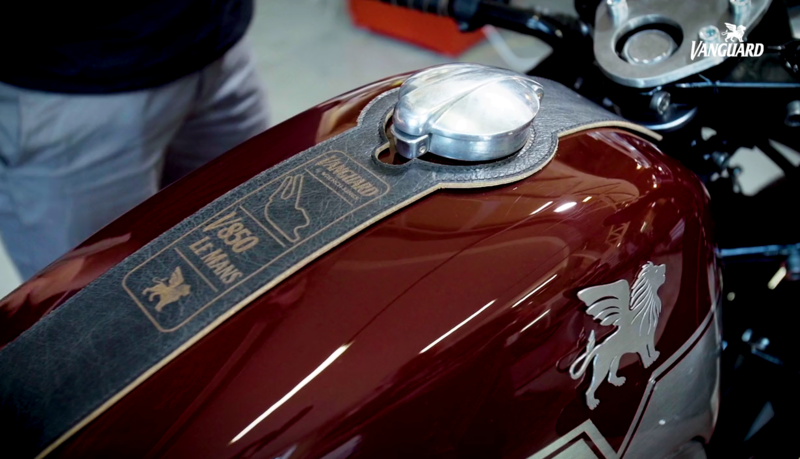 The seat and knee pads on the sides are not the only leather elements. 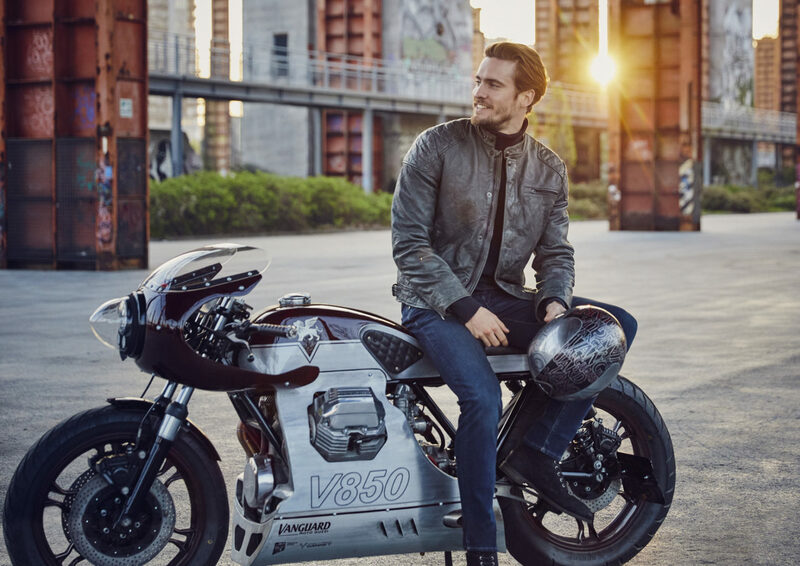 Grips and strap over the fuel tank are also there, being visible, organic, and mimicking the stitching, You can find on the jeans from Vanguard. You can even find few rivets and a small zipper on the side of the seat (a pocket for a wallet). 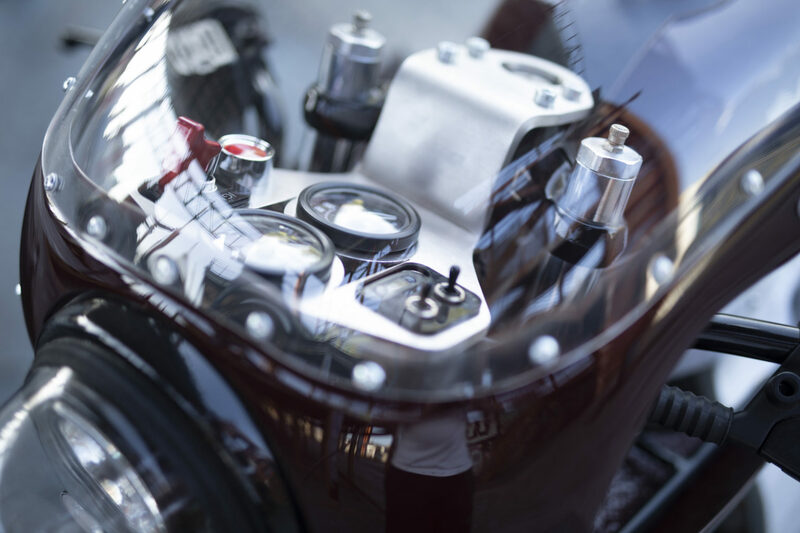 The engine was polished and sandblasted. Exhaust is made of stainless steel, some of it is visible. Wheels are stock, just painted red. The whole thing was lowered a little using YSS rear shocks and bushings at the front. It looks like taken straight out of an old fighter plane. 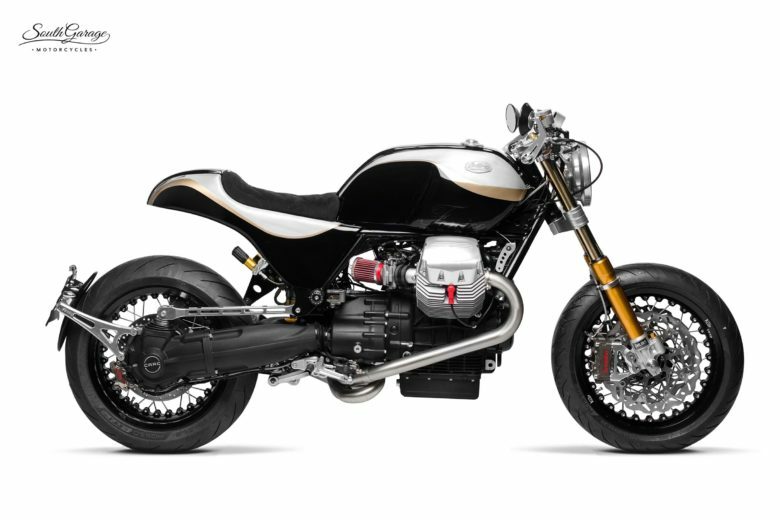 Daytona gauges, metal housing and flip switches prove significant attention to details while being hidden under this stylish fairing. Seems like a lot of work to sell some jeans. But in my opinion, it was worth every hour. I honestly didn’t know this Dutch brand before I bumped into this machine some time ago. And now I’m sure that I’ll be more aware of their presence on the market, and I am looking forward to anything they release in the future. Few videos to honour the builders and the brand. You can read more about the donor bike – here, as I released a story behind this classic few weeks ago.